Spacehub have been working in close collaboration with Make Architects on this significant new public open space and office development in the City of London. 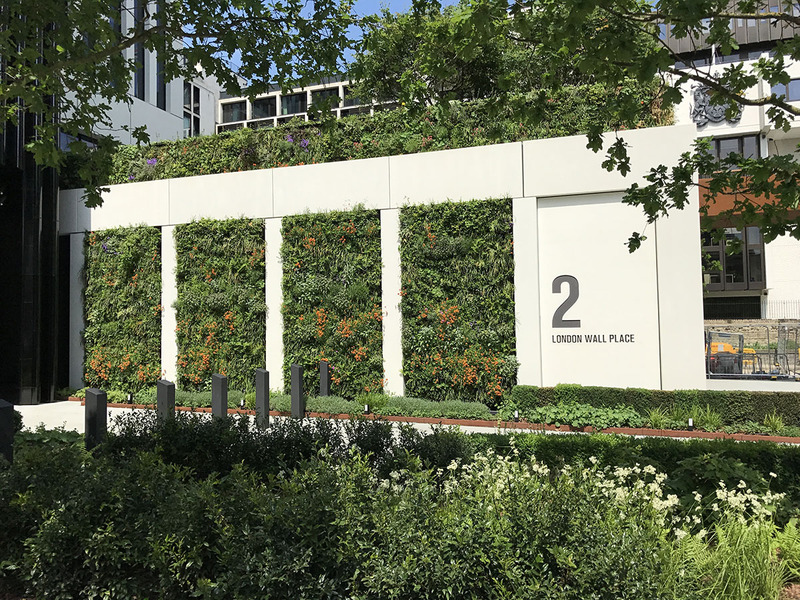 Our designs for London Wall Pace create a garden retreat, radically overhauling this area and returning it to a people-focussed public realm. Following devastation by bomb damage during the Second World War, the site was developed as part of a new vision for London where streets were denied and walkways elevated as highwalks over the traffic below across a single monolithic building block. These works saw the segregation of the historic elements and the erasure of the organic urban grain. 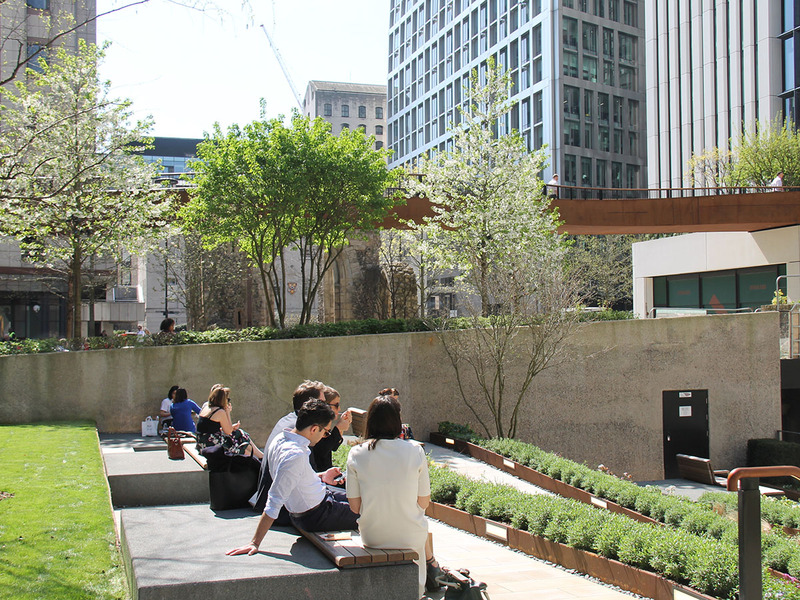 London Wall Place seeks to support the City’s campaign for providing pedestrian circulation through the enhancement of existing and creation of new walkable routes. 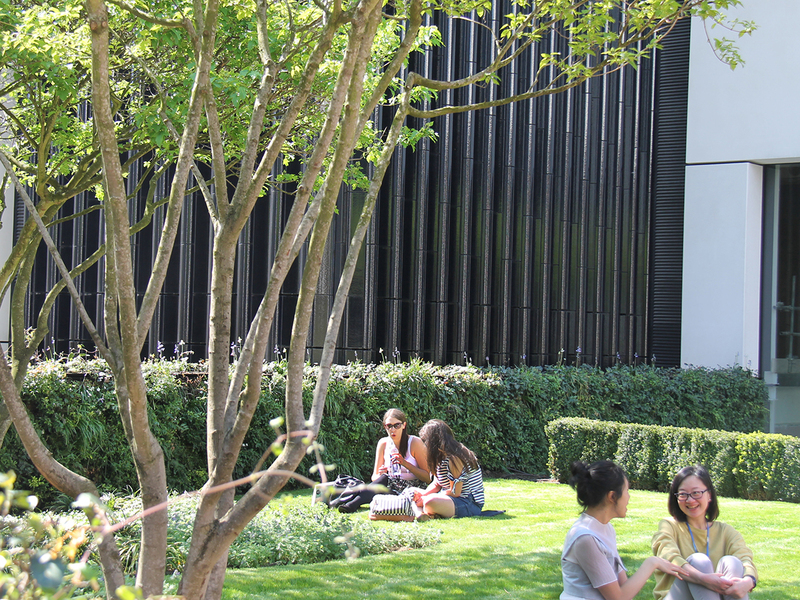 Completing a wider route from Finsbury Square to Bankside, the north-south path connects the Barbican to the Guildhall while the east-west links London Wall with St Alphage Gardens. For the first time a street level pavement will be established along London Wall by widened footways. Interacting with the new garden spaces, the route will provide excellent views into London Wall Place landscape. Replacing the original highwalk pathways, a new weathered steel sculptural bridge will gently meander above the gardens. 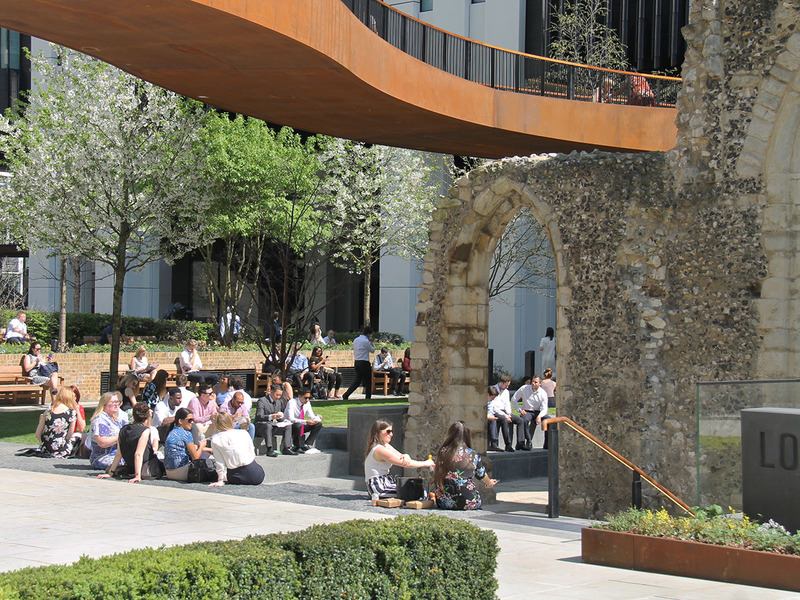 The St Alphage Church Tower Remains and London Wall Scheduled Ancient Monument, previously hidden away, will become the focus for the new gardens. Revealed through the opening up of the street level landscape, improved visual connectivity and access will enable visitors to better understand and appreciate the layering and scale of the history of the site. 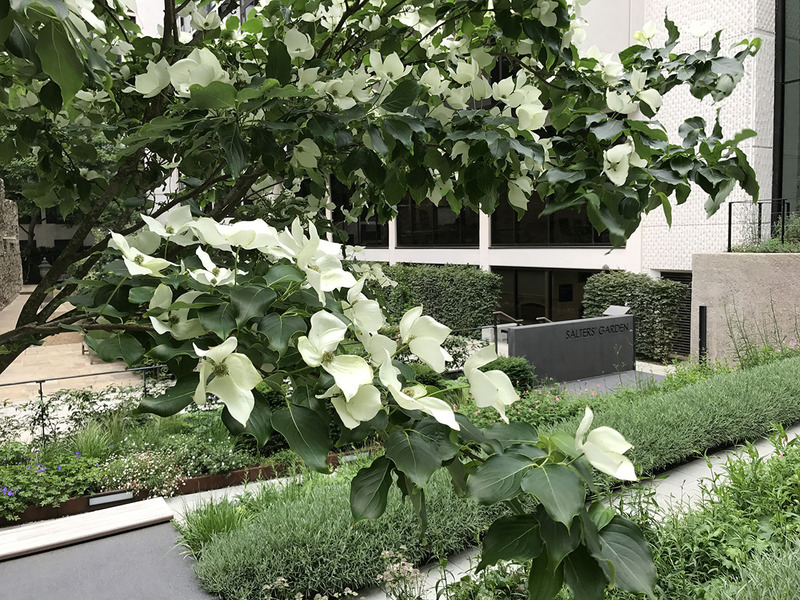 The gardens draw direct inspiration from the surrounding open spaces of the Barbican, St Alphage Garden, Salters Rose Garden and beyond to create a series of sensually rich spaces. Delicate reflections from the water feature will dance across the soffit above while the cascade will create calming sounds. The changing appearance of weathered steel will be enriched by the tactile quality of its textural surface. The urban context of London Wall Place casts a varied set of microclimatic conditions across the public realm. Tall buildings and streets create an intricate pattern of sun and shade moving through the site, changing through the year. The gardens reflect this – lawns are located in the sunniest locations and planting reflects varying levels of light and shade. While creating a setting for the new office buildings, London Wall Place is designed as part of a wider network of destinations across the City of London. 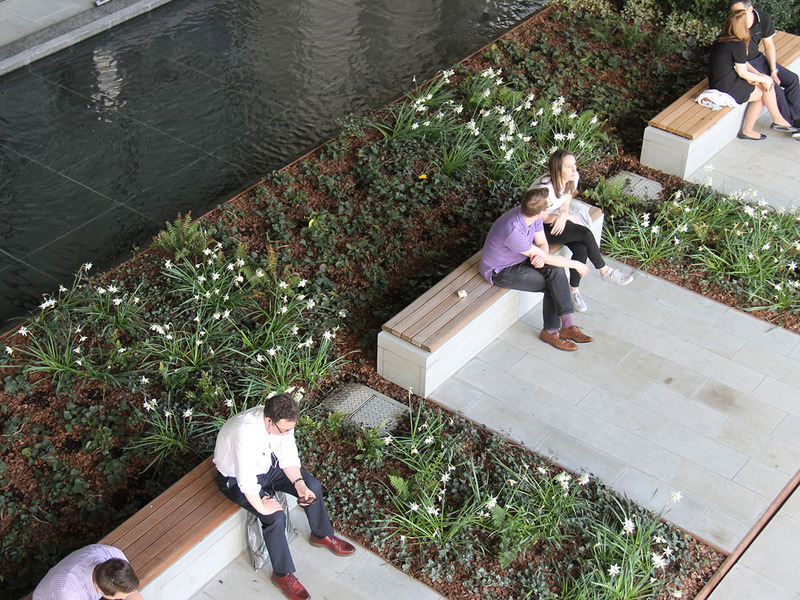 Nature is given street level and roof terrace space and allowed to flourish alongside social activities contributing valuable new green infrastructure in the heart of the City. The evolution of the proposals, from the City’s original design brief for the site, was a particularly constructive collaboration between the City and the design team. This positive working relationship is particularly evident in the quality of the landscape design, which includes twenty-eight new, mostly large canopy trees, a water feature and the sympathetic setting of the Roman City Wall and St Alphage Church Tower remains. 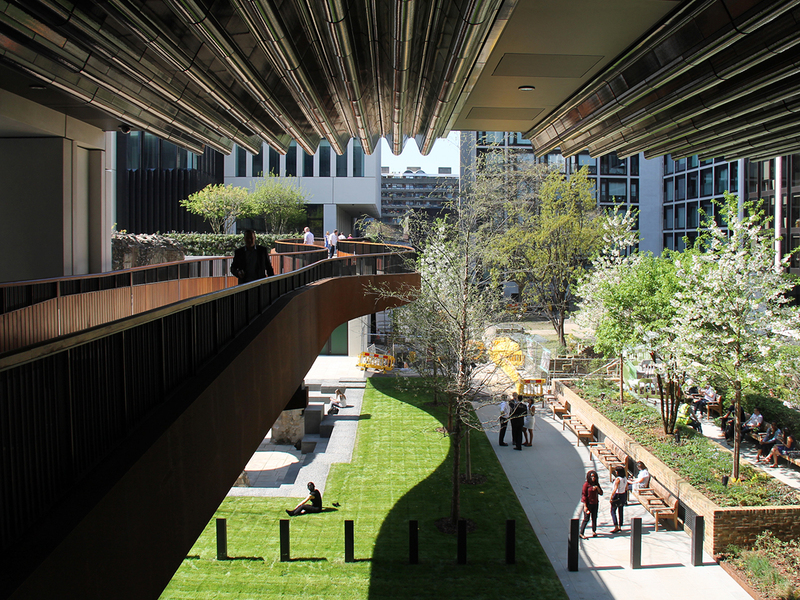 The green spaces of London Wall Place deliver new pedestrian links to the surrounding streets and form part of an important green network of publicly accessible green spaces situated along the length of London Wall.